1.The second part of season has just started, what have been the positives and negatives during the first part?We started in superb fashion getting 20 points from our first ten games, but it’s largely been downhill since then. Our home form has been fine – winning the most important games, such as Brighton and Huddersfield – but away from home we’ve been limp and pathetic since being bullied by Newcastle way back in November. 2. You are in the middle of the table now, where do you expect the team to be at the end of the season? I had genuine hopes for seventh place if everything came together, but with injuries and our current away form I’d expect us to finish around where we are – I’ll say 11th. 3. You signed both Solanke and Clyne from Liverpool during the transfer window, what have they brought to the team? Clyne has bought a defensive solidity – he’s made the right back spot his, as I think everyone expected. He hasn’t put a foot wrong since coming here and was a big part of the two clean sheets we kept at home against Chelsea and West Ham. Solanke gives us another option up front, but it’s far too early to say whether he’ll be a good acquisition – I expect him to take a while to bed in due to his lack of game time. 4. Where do you think your team needs to improve to take another step towards the top half of the table? We need to stop being such a soft touch away from home. In October we won at Fulham 3-0 in a great controlled performance, but ever since then we’ve been too easily bullied by teams – with our counter attacking ability that simply should not be happening. 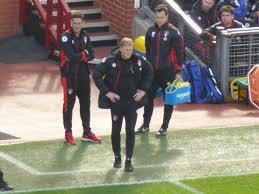 I also think Eddie Howe needs to be flexible with formations, but that’s been a long-term issue that I fear will never be fully resolved in all honesty! 5. Liverpool won quite comfortably on Vitality stadium, what do you need to do different at Anfield on Saturday? We need to defend better and take the few chances that come our way – we also need the luck to go our way with decisions (as it didn’t at Dean Court with Salah’s first offside goal). We’ll set up with a defensive midfield and look to hit you on the counter. I don’t expect it to go well for us though. 6. 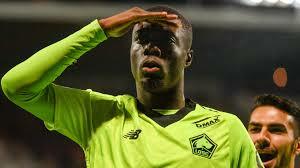 Which players in your team has been most impressive during the start of the year? Who needs to up their game? David Brooks has been a superb find and looks a huge talent. Callum Wilson has benefitted from starting a season injury free and fully deserved his England call up. Finally Jefferson Lerma has been a very good buy, offering the steel in midfield that we’ve desperately been lacking in past years. As for disappointments, Jordon Ibe continues to frustrate. Lys Mousset has also failed to live up to his early potential and seems to be getting worse game by game. Frågan är inte om vi vinner idag utan med hur mycket. Vi behöver, laget behöver rättare sagt en ordentlig islossning, massa rackanajsare in k maskorna, hemma emot ett betydligt sämre gäng måste vi kunna slappna av och spela med självförtroende och låta bollen göra jobbet som vi ska spela, som vi spelade i höstas.